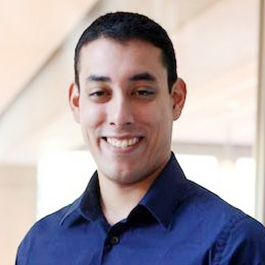 Michael Beltran is a lecturer for the Mechanical Engineering (ME) department, lead instructor for the ME 398: Engineering Design capstone course, and the director of the 3D Printing and Rapid Prototyping Lab in the Ford Motor Company Engineering Design Center at Northwestern. The 3D Printing and Rapid Prototyping Lab hosts an array of cutting-edge, additive manufacturing technology and tools, as well as 3D scanning equipment. The Lab enables both undergraduate and graduate students to create complex prototypes quickly using a wide range of materials and processes. As the lead instructor for the Mechanical Engineering capstone course, Beltran teaches the two-quarter sequence with three other ME professors. During the course, they mentor students teams as they collaborate with industry and research clients to design, engineer, prototype, and validate a product. Beltran also offers volunteer outreach opportunities through the Science and Engineering Exchange (SEE), a volunteer program partnered with Lincoln Elementary in Evanston. SEE brings together students from Northwestern and local grade schools through in-classroom lessons which focus on the STEM fields including manufacturing, engineering, and entrepreneurship. This program has recently begun to offer a course through Segal Design Institute called DSGN 395: Engineering Education & Outreach. He is also the faculty advisor for Northwestern's Baja and Formula SAE (Society of Automotive Engineers) teams. Segal Design Institute did a Q & A with Beltran to learn more about his work. What happens in the Rapid Prototyping Lab? Mike Beltran: What we do here is additive manufacturing, and a little bit of reverse engineering. We have varying fidelity of processes that we can use. We can make quick, conceptual models all the way up to functional prototypes that look and feel like real injection molded parts, along with metal capabilities. There's also precision laser scanning equipment, meaning we can generate CAD files from scanning a part. We are here to support fabrication in both courses and research, but we are not just limited to the students within the school of engineering. They are the dominant group of people who come here, but we also have a number of projects from both Feinberg and Weinberg, both which require the advanced fabrication capabilities of the Lab. Tell us about your background in engineering and design. MB: I studied mechanical engineering at MIT and then received my masters in mechanical engineering at Northwestern. As I was finishing that degree, this position became open. Initially, the role was mostly support for various manufacturing courses. Now, I teach the Mechanical Engineering capstone course, run this lab with a number of staff members, and teach manufacturing classes both within the Mechanical Engineering department and within the Segal Design Institute. What interests you about the relationship between design and engineering? MB: The fact that mechanical engineering can be applied to so many areas is why I chose that degree. However, in undergrad [at MIT], design as a stand-alone concept wasn't something I was familiar with. When I took on this position at Northwestern, a part of my responsibilities was teaching classes within Segal Design Institute and that's when design started to really become a part of my outlook. Now, I teach design as a concept integrated within product development, engineering and manufacturing. Many of the courses that I teach focus on tools or concepts that you can use throughout the engineering design process. I want my students to be good engineers and I believe they need to be able to justify their decisions made during the design, engineering, and manufacturing of any project. How has the field of rapid prototyping changed over time? MB: 3D printing has conceptually been around since the 1950s, but we've been building things in layers for a pretty long time. What made 3D printing really accessible to everyday makers was a combination of certain technologies becoming cost-effective, and the expiration of certain patents. Those changes led to the desktop 3D printer movement, which is one of the core technologies that created the "maker" movement. We once had machines that cost forty thousand dollars, and now we have machines that cost two or three thousand dollars, or even less than that. So, now there is much less of a barrier to entry to the 3D printing world, and to working with these types of materials. However, the Rapid Prototyping Lab goes beyond the desktop. Here, we have machines that are professional level, which will make what you want almost regardless of what you plug into it, barring a few exceptions. Digital fabrication, combined with other types of technologies such as cheap and easy CAD programs, creates a digital-to-physical process that is very easy for anyone to master. But, it's important to remember that the design process is much greater than that. I say to students "Here are all the ways you can do things, but you need to understand how this tool fits into the whole picture. Just having a 3D printer doesn't mean you're going to create a better product. What this technology lets you do is succeed, or fail, much quicker." What 3D printing has really done is eliminate one of the most costly and complex steps of prototyping. Say you needed a new plastic widget: before 3D printing, it would have taken two or three months to build a mold, and we would have had to spend ten thousand dollars to get a few test parts. Now, with the ability to 3D print the part, we can put more money into prototyping, testing, and most importantly failing early and failing often. It's now more affordable for anyone to be able to make things thanks to this technology. MB: When I first started out, I didn't realize how much passion I had for this type of work: I've always enjoyed getting my hands dirty while building one thing or another, and eventually getting a complex prototype to finally work. Now I am able to show students how to get to that same place and it's rewarding to see the look in their eyes when it all finally makes sense. It’s just incredibly fun. Talk about a student project that has really impressed you during the past year. MB: GE will be prototyping a product that one of the ME capstone teams came up with. It is a new way of inspecting jet turbine engines for damage. The students came up with a device and method to guide a modified borescope around the diameter of an engine. Because it's a controlled process, they can control how the camera inspects each surfaces, allowing GE to much more easily stitch together images – a huge improvement over having it done by hand. Out of all of the submissions that GE received worldwide, this design is the one they are going to prototype. That's just one example, but we have student teams doing all sorts of crazy and complex projects in the ME capstone course.